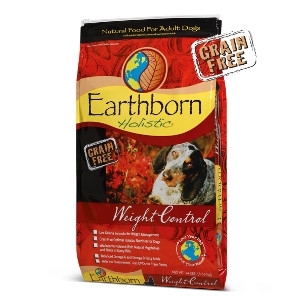 Earthborn Holistic® Weight Control is a great-tasting formula that reduces fat and calories in your dog's daily diet without reducing the nutrients necessary to maintain optimum health. This unique low-fat, low-calorie chicken formula will help keep your dog healthy and fit for daily activities. *Available in 5 and 14 lb. bags.